New songs galore. Fan favourites aplenty. Packed venues. Brilliant performances. 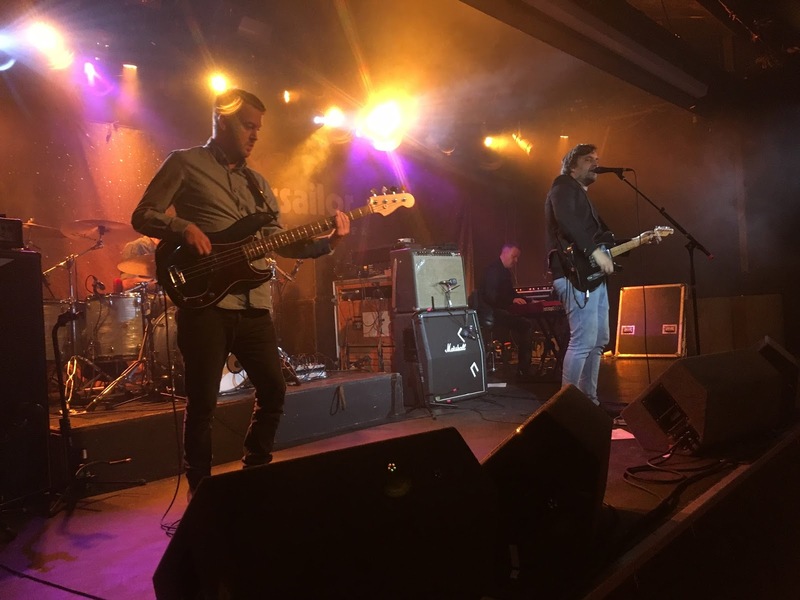 Starsailor's last series of headline UK shows may have only been 10 months ago but their All This Life Tour - which they're already over halfway through - feels like an overdue return of one of the best bands on the scene right now. From Ben Byrne's brilliant tom and snare drum intro to "Listen To Your Heart" in Cambridge last week through to a rousing rendition of "Good Souls" in Liverpool's ever-sweaty O2 Academy on Thursday night, the band continue to excel in putting people through an emotional rollercoaster night after night after night after night. Naturally, the old favourites are being played. "Fever" sounds jazzier than ever thanks to Stel's nightly improvisation on the bass. "Four To The Floor" has new life breathed into it in a favourable pre-encore slot. "Lullaby" comes with an introduction from James Walsh during which he says that anybody born around the time of its release as a single in late 2001 would almost be able to drink legally. How time flies, eh? And I dare anybody to say they're bored of hearing "Tell Me It's Not Over", which retains all of its anguish and power a decade on from its first live airings. But, thankfully, the band's sets are full of material from their triumphant "All This Life" album. With the long-overdue inclusion of "Sunday Best" - demanded relentlessly by fans on social media - in Birmingham this week, the last few shows have seen an impressive eight new tracks in their 95-minute sets. Few bands these days would have the guts to play that many, I tell you now. "FIA", performed as per the studio version with only James, Stel and Barry Westhead (complete with his whirling keyboard parts) on stage, steals the show. Monday night's airing of that in Leeds was particularly special, with its sweary refrain echoing off the walls of the Beckett University's box-shaped venue. That said, you can't overlook the ferocity of "Blood", which comes up and slaps you in the face like a hoody-wearing teenager seeking their first ASBO. However, this tour is more about the band and their music. 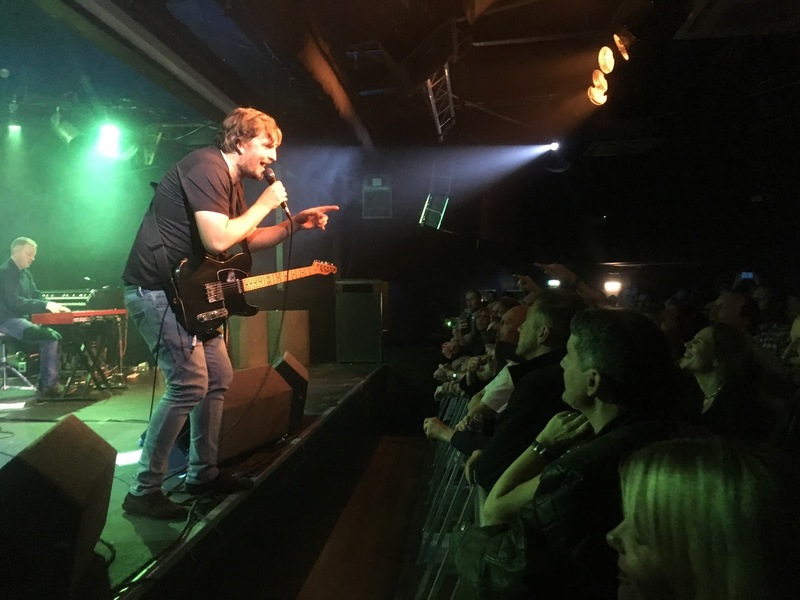 From the first timers in Cambridge and the drunk couple in Norwich through to those seeing their 50th Starsailor show, audiences up and down the country have more than played their part in the gigs. One enthusiastic heckler on night one demanded even more from the new album, definite proof that it sits brilliantly alongside the four fine releases that precede it. So good was the audience's singing in Sheffield that James spontaneously got the crowd to sing one final chorus of "Fever" on their own, a request that they duly fulfilled in style. One of the tour highlights, that. And those inside Bristol's Bierkeller at the weekend simply got it. "Saturday night gigs are normally really good, but this has been exceptional," James told them, thus raising the noise levels even more. Another new song, "Best Of Me" plays a part in the nightly vibe, too. Having more than adequately replaced "Keep Us Together" in the pre-end of main set audience participation slot, the way James commands them to sing the chorus "WOAHs" shows a front man on the top of his game. And you know what the best thing is? There are still five chances to see them around the UK on this tour, starting with Newcastle (Saturday) and Glasgow (Sunday). That's an offer you'd be silly to refuse. Been to see Starsailor half a dozen times in the last 10 years with no new material. A great new album and I'm noticing. In Hong Kong. Pissed off doesn't describe adequately how I feel! Saw them in Sheffield for the fifth time! Absolutely brilliant as ever! Spoke to James before the gig when he arrived & Barry afterwards! Fantastic new material especially Blood & Sunday best! Great gig in Liverpool last week! I forget how many epic songs you guys have! Love these guys!!!! Love the new album!!!! Come back to the US please!!! Their live performances are incredible! What is wrong with people? All This Life should be on everyone's radio/mp3/CD/etc. ALL THE TIME!